I was contacted by the Negramaro frontman Giuliano Sangiorgi to realize the cover of his first novel published by Einaudi 2012. 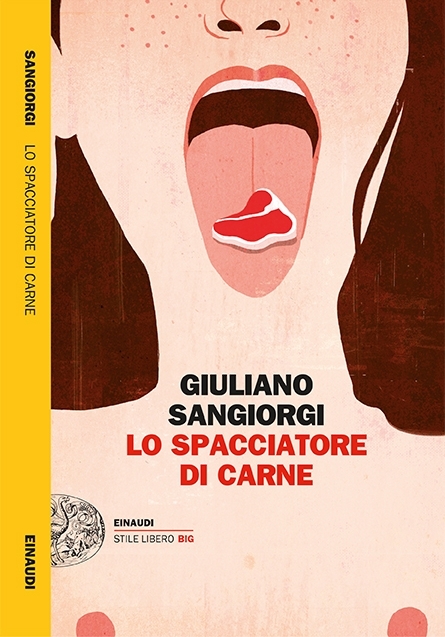 The title "Lo spacciatore di carne"(the meat dealer) is a story about a guy moving from the south of Italy to the north to attend the university, meat is involved at many layers of the story. My aim was to combine the idea of drug dealing with meat, something that remembers the lSD taken on tongue icon with a t bone instead.